Superior Concrete Materials, a business unit of U.S. 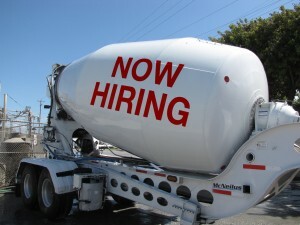 Concrete, has been serving the Washington, D.C. metropolitan area for the past 36. The company is recognized for achieving the highest standards of quality and service, while providing true value. We are always looking for talented individuals who embrace our values: meeting customer needs and delivering superb service, with an attention to detail. 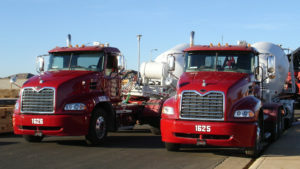 Due to our continued growth, we frequently have openings for many positions, including Class A and Class B drivers, Heavy Duty Diesel Mechanics, Dispatchers and Customer Service Reps and QA Technicians . If you have experience in construction and concrete, we encourage you to send us your resume, even if you do not see an open position. THANK YOU!